A changing TV landscape, declining advertising revenue and lingering confusion about digital television spell an end to free 24/7 Japanese broadcasts. In 2009, amidst the confusion of the federal government-mandated switchover to all-digital television broadcasts, The Rafu Shimpo published a lengthy article in hopes of reducing any confusion among viewers. It would appear that a fair amount of uncertainty and technical issues remains about over-the-air broadcasts, however. Those challenges, combined with declining advertising revenue within the quickly evolving transformation of television itself, is forcing Southern California’s leading provider of Japanese broadcast TV to abandon its 24-hour schedule. United Television Broadcasting, founded in 1971, has been airing its programs – mostly in Japanese – on digital Channel 18.2 since March 2009, shortly after the end of analog transmissions. For the first time, UTB was not subject to sharing its airtime with other programming in a variety of languages on the anchor station KSCI Channel 18, known as LA18. With its own location on the airwaves, UTB was able to present a full day’s programming tailored to the Japanese and Nikkei communities, including episodic dramas, food and variety shows, and the annual “Kohaku Uta Gassen” music spectacular held every New Year’s Eve..
That 24/7 schedule will end at 11:59:59 p.m. on Sept. 3, with a variety of factors forcing UTB’s hand. Channel 18.2 will go dark on that date, and UTB will return to a very limited broadcast time slot on Sept. 11 – 90 minutes on Sunday evenings at 6:30 p.m., on KCSI Ch. 18. NHK World, the English-language station from Japan’s national public broadcaster NHK, will continue its round-the-clock schedule on channel 28.4 without interruption. Unlike UTB, however, NHK World is funded by the Japanese government and does not rely on advertising revenue to operate. 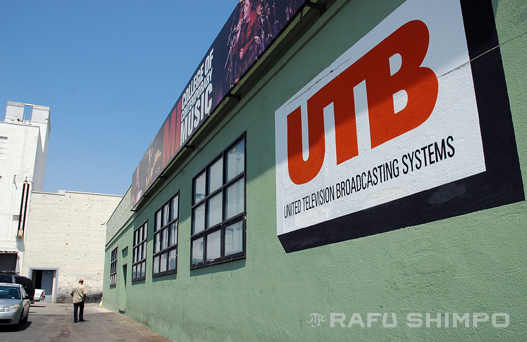 UTB president Toru Mihara said one of the principal reasons for the the station’s demise is lingering confusion over how digital television works. Mihara said the confusion over what was once a commonplace component of TV has continued to be somewhat befuddling for viewers. While KSCI Channel 18 is carried on most cable and satellite systems, its sub-stations – channels 18.2 through 18.12 and 18.88 – generally are not. Mihara said most of the cable providers in the area have resisted attempts to add the substations to their lineups. Cox Cable, serving customers in parts of Orange County and Palos Verdes, has offered 18.2 as part of its basic package for years, but the station will disappear from those carriers as well. Since then, of course, television has seen an evolution that continues to change the very definition of the medium. Online and streaming content are posing existential challenges to over-the-air broadcasters and cable/satellite providers alike, as many “cord-cutters” abandon traditional TV in favor watching programs on smart phones and tablets. Another major transformation of what goes out over the airwaves is under way, this time with far less fanfare than the digital switchover. In 2009, few in the U.S. Congress could have foreseen the explosion in demand for bandwidth needed to carry not only television broadcasts, but other types of signals as well – namely, those required for cell phones and wireless devices. Last June, the Federal Communications Commission obtained control of more than $86 billion worth of wireless airwaves from local TV broadcasters nationwide, with the eventual goal of freeing up that space in the TV spectrum for cellular usage. This summer, the FCC began a lengthy series of auctions, selling the air space to wireless and telecommunication companies – AT&T, Verizon and T-Mobile, with others expected to join later. In the run-up to the FCC acquisitions, speculators began buying up small, local stations, with an eye toward selling them at huge profit to the government. KSCI is one of several stations owned by Texas-based NRJ TV, a broadcast services company that owns stations from New York to Honolulu. While NRJ has been participating in the FCC program, an executive at NRJ who asked not to be named told The Rafu that KSCI is not one of the stations the company plans to sell. Though the clearing of spectrum space is not one of the stated reasons for UTB’s troubles, it underscores the wholesale changes in the way programming is being delivered to viewers, and the impact it’s having on the business of television. Advertising based on the traditional parameters – the calculated number of eyeballs on a particular program, station or article – is a business model that faces becoming obsolete for TV and other forms of mass media. The real-world results of the evolution of viewing, combined with confusion among its target audience, translates to a viewership far short of what UTB needs to remain solvent. While occupying Channel 18.2 had been relatively inexpensive for UTB, the advertising has dropped off precipitously, The Rafu has learned. Additionally, the rights to air many of the most popular programs aired by UTB are purchased from Japanese broadcasters, such as NHK or TBS. Those contracts only allow for over-the-air showings, not for online exhibition. Moreover, many of the commercials seen on UTB of late have been from advertisers that share the same parent company as UTB. The station is a part of ESP Entertainment Group, a Japan-based company that owns, among other things, ESP Guitars and the Hollywood music school Musicians Institute, both of which have run extensive ads on UTB. Mihara laments the fact that television viewing is becoming more on-demand in its nature, insisting that TV’s variety is one of the most valuable components of the medium. UTB programs that will continue on channel 18 beginning Sept. 11 include its original weekly news magazine “SoCal Japan,” as well as the music variety show “Enkame” and the period drama “Sanada Maru.” With the cutbacks in programming, most of the staff, including the daughter of UTB co-founder Yasushi Haneda, will be leaving the station. Among the casualties of UTB’s reduced capacity was the broadcast of this year’s Nisei Week Grand Parade in Little Tokyo, an event that required considerable staff and cost on the part of the station. The Rafu has heard from several viewers who are disappointed with the demise of UTB’s 24-hour schedule. Little Tokyo resident Atsushi Ashizawa opened one of the first ramen shops in the United States. He said he will miss the food-related programs, notably one that features sake. “I subscribe to [pay channel]TV Japan, so I can still watch some Japanese programs, but it’s disappointing that UTB will cut back so much,” Ashizawa said. Another UTB executive was proud of the way the station has consistently provided English subtitles for Japanese programs, bringing valuable cultural access to life in Japan for all ethnicities. Rafu Japanese section assistant editor Jun Nagata contributed this report. UTB introduced me to some cool anime. I’ll miss the channel. Oh, no. This is killing me. Anyone know of a good alternative for subtitled Japanese TV shows? “Midnight Diner” was my favorite, but I watched “Partners,” too. I will continue to watch “Sanadamaru.” Thank goodness it will still be on. If “Sanadamaru” disappeared, I might have to commit seppuku. I can only hope that UTB will extend Japanese programming longer than 2 hours/week sometime in the future. As far as advertising revenue goes, I became a regular at Shinsengumi because of the advertising on 18.2. I started going to Isa because of their UTB ads, too. I wouldn’t have gone to either place without those ads. So disappointed. Really really. The greatest loss is that all of those subtitles for all of those shows translated throughout the years will become lost forever. I missed a lot of Season 14 episodes of Partners, and now I fear I will never get to see them again. Honestly, there are a lot of great Japanese dramas/shows/anime that come out of Japan, and not all of it is geared towards elderly Japanese people. A lot of non-Japanese citizens in the US (both young and old) enjoy them and indeed demand them through online sources. I think what has caused the demise of UTB is the unfortunate reliance on a single, traditional TV channel and an inability to offer shows through other mediums. If UTB could obtain permission to stream shows online with a subscription service, they could become even bigger. Very very disappointing! I will miss 18.2 greatly. How very sad! I share the exact sentiments of the previous poster. I am not of Japanese background but have had an affinity for Japan ever since spending a summer there as an exchange student in high school. I discovered UTB back in summer 2009 when I purchased a digital antenna for my tv and have been a faithful viewer ever since. Aibou (Partners) has been a Thursday night staple… my week isn’t complete without it! I appreciate the English subtitles for it as well as many other serials UTB has aired over the past few years. The cooking & cultural shows have always been terrific, I could always count on good programming with this station. I am absolutely bewildered as I cannot imagine missing the next season of Aibou, Sugishita-san has become a dear friend after 14 seasons! Very sad this happened, hopefully the station will find a way to return again somehow in the future. So Cal definitely needs it! Since moving to LA from the east coast nearly two decades ago, UTB on channel 18 has been our favorite channel on the dial, so we’re very sad to see this drastic cut in broadcast hours. Though not of Japanese heritage, we started watching “Oyaji (Stubborn Dad)” on Sunday nights and soon got hooked on all the Japanese dramas. We also never missed an episode of the Dotch cooking show. Following the switch to digital, we pulled the plug on cable, and have been pulling in 18-2’s strong OTA signal. Our kids have grown up watching Let’s Speak Japanese and Detective Conan. They love the jingle to 3 Minute Cooking, love Amichan, and my son’s a big fan of Hungry Hoppers. Sadly, we now see 18-2 has become yet another Korean language channel (and we are of Korean heritage!). We’ll tune in to 18-1 on Sunday evenings. Good luck to UTB, and let’s hope you can tap into increasing revenues in the future leading to increasing broadcasting hours. The demand is definitely out there for popular Japanese entertainment. Your station will be sorely missed and I am so sorry to see it go. Always looked forward to Partners and Midnight Diner as well as so many wonderful travel scapes of Japan. I have only now just discovered that 18.2 Japanese programs have ceased except for Sunday nights, and that for 1.5 hours total. I am both sad and disappointed by this. For a number of years I have watched the Dotch cooking show, Ultraman Tiga, Ultraman Dyna, I can speak Japanese, Hungry Hoppers, Downtown Rocket, and recently, Midnight Diner. I will definitely miss this station. I am so unhappy with UTB going off the air. Every week, I so looked forward to all the cooking shows – my favorite is Hungry Hoppers (Onigiri). I am planning on going to Japan this fall and will stop by the NHK media station and let them know how much that hurts even though they are not owners of UTB…. This is a tragic loss. We loved 18.2! So sad. I just found out about this when I turned on the TV and UTB was gone! So many great shows. I actually bought an antenna and dumped cable for UTB. Time Warner does not carry any sub-channels, though they offered TV JAPAN for the ridiculous price of $25 a month. Hopefully NHK World will keep going. What is the future going to hold for UTB do they plan to add more shows or regain a channel again??? 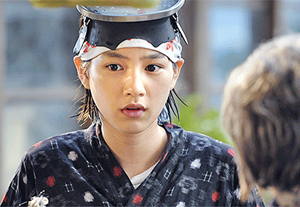 I’m especially feeling the loss of UTB this weekend, as I usually watch Midnight Diner and Love Live! to wind down. I’m happy that I don’t have to miss Sanadamaru, but overall, I miss UTB for all its insights of Japan and the great shows. We wish to thank the management and staff of old TV channel 18.2 for wonderful hours of programming we used to watch. We were particularly fans of Partners. We’ll miss you guys and at the same time want to wish you the best of the best in your new adventures for the “new” 18-1 programming. Wow! This is terrible! My TV pretty much stayed on 18.2. Anyone know of any alternatives outside of NHK, which is too mainstream for my taste? It was a sad day. ??? Where else can I watch “partners”? I don’t have cable. I was so disappointed to see 18.2 utb stop its broadcasting. Whoever made this decision was not really serving the Japanese community nor the Japanese American and Nissei community. I am deeply saddened that personal greed within the cable companies or station owners was more important to them than serving their community, even though the community was many miles away. A similar thing happened when KCET channel 28 went from being a public broadcasting station taking in donations to keep running to becoming a private broadcasting station still trying to take in donations to keep running. It is all about greed. Advertisers use the airwaves to generate revenue and in part support the broadcast station’s staff and crew. Once PBS went private, they starting advertising from major car manufacturers and still had the nerve to ask for donations from viewers. The advertisers are supposed to support the stations crew so they can provide content which the viewers would love to see. I’m just disappointed and hope free Japanese programming can come back. There are currently 8 Vietnamese channels, several chinese channels and other asian channels, but now only one Japanese channel, NHK World. NHK World is fully funded by the Japanese government and they encourage English Speaking viewers to comment and suggest new content ideas. And it is free to watch. American greed is just so disgusting and that is what I think has caused 18.2 to disappear. you can watch dramas at dramanice.to usually, that’s where i go for japanese/korean shows with subtitles. i don’t know what happened to programming now. I watched Sanada Maru last week on 18.1, but right now there’s nothing showing or listed. Did UTB just drop everything all together or take a break for thanksgiving weekend? I’m very saddened by the loss of UTB 18.2. I used to switch back and forth with the other but now gone Fujisankei programs that were originally on Channel 18 late nights that were carried by the now defunct Asahi Homecast and UTB was on Channel 44 (both L.A. channels). This hurts, it really does. Only thing left now is NHK World. Got to hope at least that will continue to soldier on. will miss my shin sen gumi commercials, hon hamachi commercials, nishiki commercials, etc. however, was able to view the entire Ohsin series, a great deal of Partners, really cool Saki-making mini documentary/infomercial, Hungry Hoppers, and many other delights. i’m grateful for the viewing experience 18.2 provided. If only we could still get those shows on the other NHK channel 28.4. I REALLY loved ALL of both NHK channels shows. From that traveling around Japan to eat at various stops. All of the late night dram a shows. To Somewhere Street and cooking with the chef. So sad to see you go. I watch that station day and night. So sad?